I've been requested to upload some of my old things from Parsimonious and other sites, so I'm trying to track them down and post them. 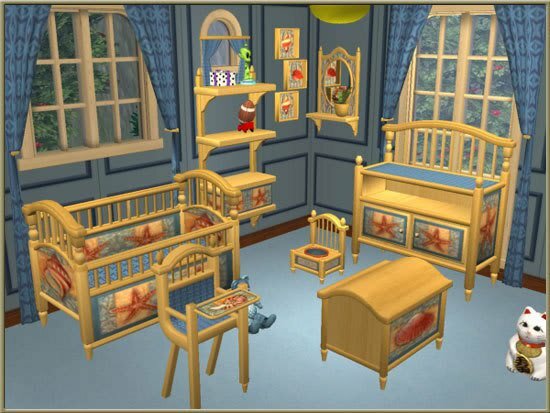 This is a recolor of the Mere Folly nursery and Kate's original meshes are included. I know that she updated a lot of her Sims2 meshes, so I can't be sure they will work with the current meshes on Parsimonious. oh dear, I can't wait to see what else you have! Just eMAIL or pm me when you want me to find you things. Ah! Seeing this brought back some wonderful memories!